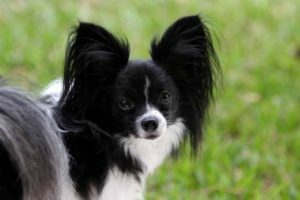 The Papillon is a toy breed with large ears, long hair, and a tiny little body. They derive their namesake – the “butterfly” – from their distinctly large, upright ears, though the name can also do justice to the typical lively and playful papillon temperament. Before I continue, it is important to note and for potential dog parents to understand that this is an overview of behavioral tendencies. Each dog will have their own unique personality and may not fit this template exactly. To address behavioral concerns, consider educating yourself on training methods or consider obedience school to give you and your furry friend a stable and safe relationship so that you can love and trust each other. Additionally, to ensure that this is the right breed for you, understand the temperament tendencies, diet restrictions, as well as common health/physical issues that are characteristic of the breed. 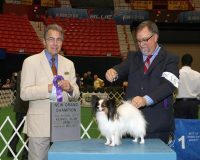 The Papillon is one of the most trainable of the toy dog breeds and can be quite lively and playful. 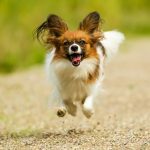 The papillon temperament can bring a positive, playful energy into your home without the accidental destruction of some of the larger breeds. This means, however, that the papillon temperament does not lend itself well to humans simply looking for a cuddly companion. They are very active little dogs and are naturally inquisitive and curious. Papillons are highly intelligent and instinctually have a strong desire to please their human. This means that they are easy to train and respond well to food and positive attention. This also means, however, that they do not respond well to yelling and physical punishments. Because of their intelligence, papillon owners may find themselves dealing with rebellious dogs. This sort of behavior can be “broken” by patience in training as well as an increase in other outlets for mental stimulation. 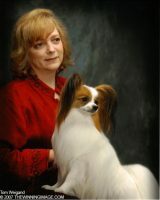 Some of the Papillon temperament can be derived from their spaniel lineage. Papillons are known to move very fast. They have very quick reflexes and love to run. It is, therefore, vital for papillon parents to leash train, have time for their furry friends to release some of that energy (either in a dog park or in a fenced-in yard), and watch to make sure their curious friends don’t gain entry to the outdoors when their humans aren’t watching. Papillons easily and quickly attach themselves to their family, making them an easy addition from the beginning. However, because they love their people so much, one common trait among papillons is the tendency to experience higher than average separation anxiety. If left alone for long periods of time, they can stress themselves out and, like many other breeds, will ignore their house training when they become too anxious. Additionally, papillon owners may find themselves dealing with noise complaints from their neighbors as a result of anxious barking. Because of these issues, papillons best fit into families with flexible hours or families with the ability to provide a companion for their pooch. 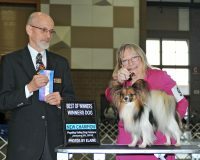 Similar to the other smaller toy breeds, one of the biggest behavior problems that papillon owners face is the barking. Papillons can be quite vocal and will bark to let their people know that someone, somewhere is doing something worth noting. Someone may be at the door, someone may be walking by the door, someone across the street may be thinking about opening a door and is therefore worthy of barking to let you know. This particular trait makes them wonderful watchdogs but can be quite trying to the patience (and ears) of their human families. It is important to teach your pooch to stop barking (such as “quiet”) when they are young so that this does not become a problem later in their lives. 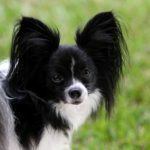 The quirks of papillon behavior are easily manageable and training can be done easily at home or through obedience programs. Papillons are a great choice for first-time dog owners, people living in apartments, or retirees looking for a furry companion. They are intelligent, they attach themselves easily to human friends, and do not need special considerations for their size. When looking for a papillon, be sure to do your research to ensure that your pup will be happy, healthy, and will be a stress-free addition to your home.